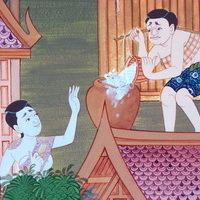 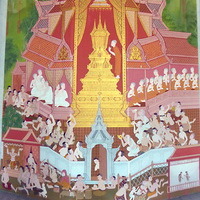 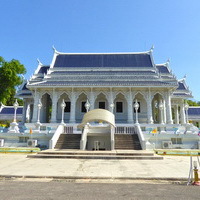 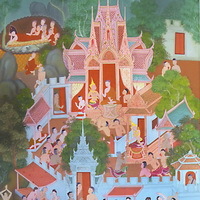 Bloggang.com : nanakawaii - วัดแก้วโกรวาราม Wat Kaew Korawaram, Krabi. 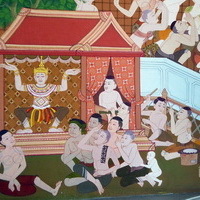 On Maharaj Road, in the town centre of Krabi. 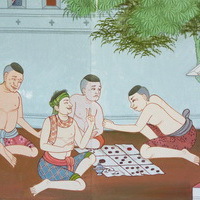 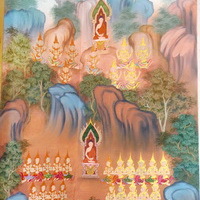 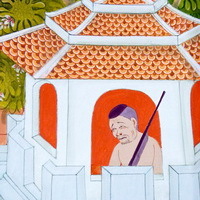 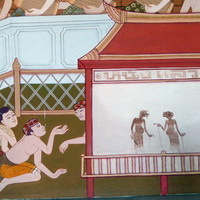 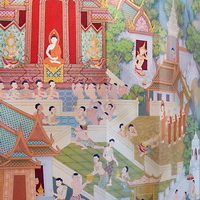 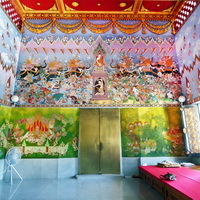 Location of murals: Inside the Bot (the main temple). 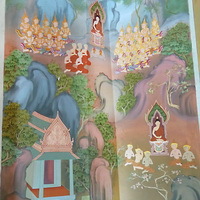 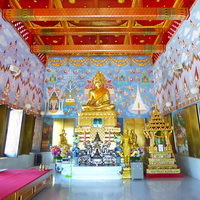 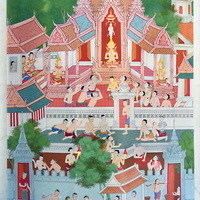 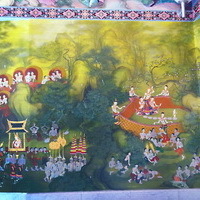 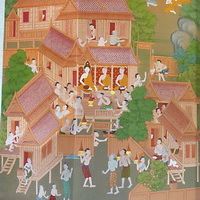 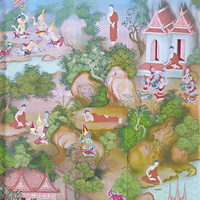 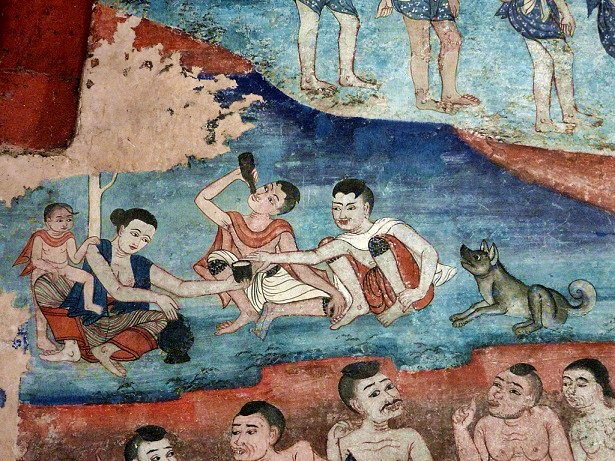 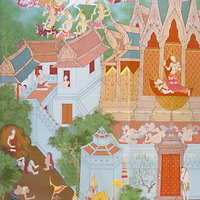 The areas above doors and windows are covered with Heaven scenes and the Gathering of Angels except that over the entrance which paints the Buddha�s Victory over Mara. 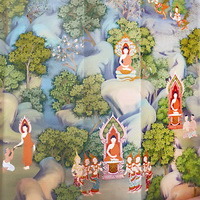 The walls between doors and windows tell the Buddha Story. 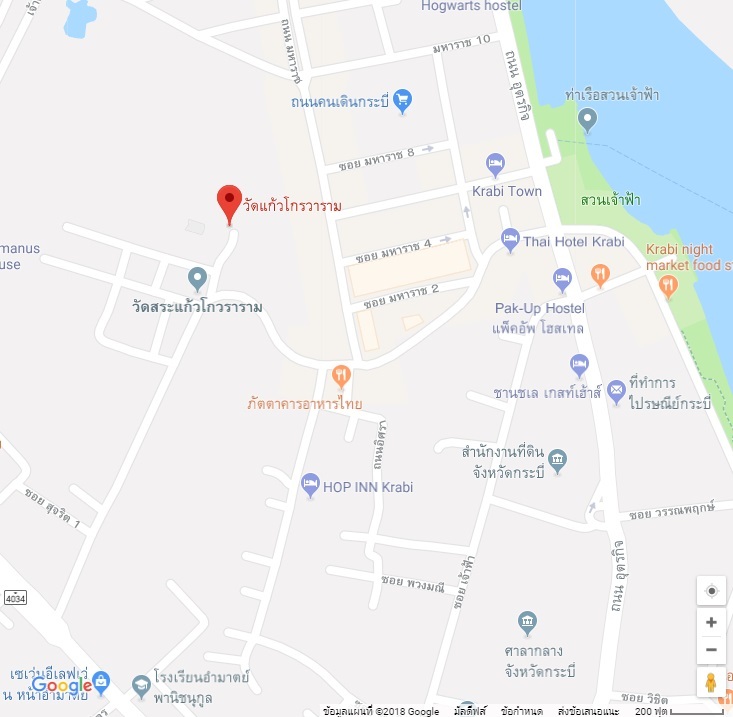 Last Update : 21 เมษายน 2561 23:13:15 น.